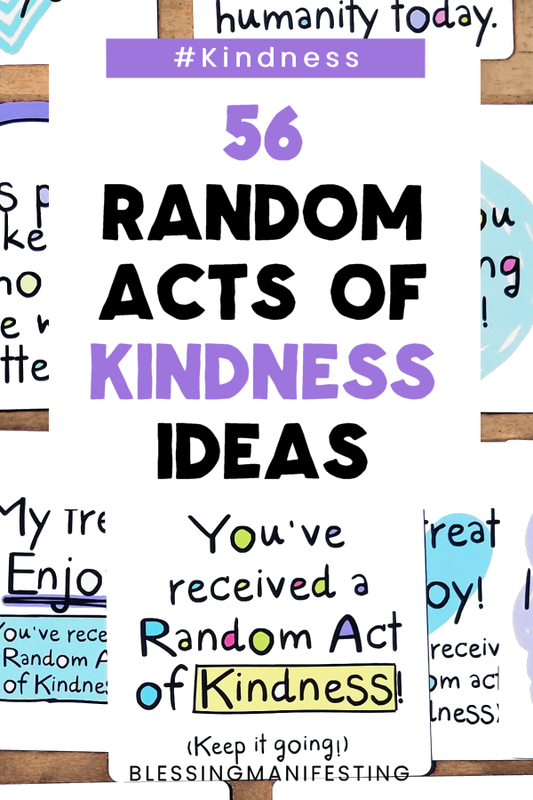 I just released my brand new Random Acts of Kindness Cards and I am so excited! You can hand out these cute little cards to tell people thank you, to brighten their day, or just as an act of kindness! It’s so important to be kind, especially in a world of social media where we can so easily see all of the things that are going on around the world. 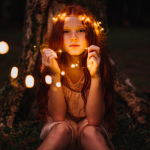 The world needs a little more light and a little more glow. Several years ago, after I started practicing self-care, I realized that it gave me the ability to not only be kind to myself but to be kind to others as well. Up to that point, I was always running on fumes. It was hard enough to take care of myself on a daily basis, let alone find the energy to take care of other people. So, while self-care is about the self it also makes you available to others. And you want to know something else? Being kind to others is good for your mental health. When you deal with depression and anxiety and other mental health issues it’s so easy to feel like you don’t make a difference in the world, to even feel like a burden. We become so convinced that we are a drain on resources and that we give nothing back. Random acts of kindness, no matter how little, are a way to feel like despite the messed up part of our brains that say otherwise – we do make a difference. 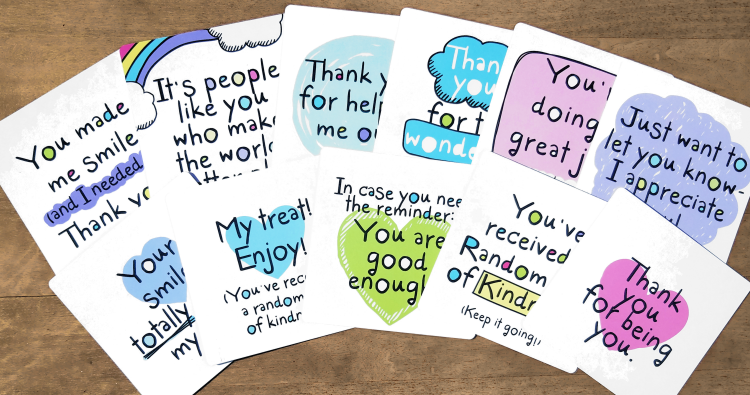 So check out my brand new cards, print them out, give them away, and create a chain reaction of kindness. Randomly pick a small business/lesser known author that you love, to leave a positive review for. Choose a friend and celebrate them for the whole day, kinda like a birthday but completely random and unexpected. Help buy a disadvantaged kid school supplies. Or donate to a classroom to make sure a teacher has all of the supplies they need. Give a compliment to as many people as you can today. Bonus points if the compliment is personality-based! Write a thank you note to someone who has made a difference to you. Try to give one compliment or positive comment to someone every day for a month. Send a card to a sick child in the hospital. Donate a toy or board game to the Children’s Hospital Foundation. Make little bags of candy and then give them out to the people you meet in your daily life. Start a game night for your friends or for coworkers you’d like to get to know. Carry around loose change and put it in tip/donation jars. Use sidewalk chalk to write out nice messages for strangers as they walk down your street or visit your park. Start saving to donate to Toys for Tots. Send letters with tons of stickers and colors to the kids in your life. There’s nothing better than getting mail! Buy a gift for a child who is currently in foster care. Put (or leave) extra change in the vending machine. Connect a charity to your Amazon account. See if your local homeless shelters have Amazon wishlists where you can easily send essentials. Text someone you haven’t in a while just to see how they’re doing! Check out the “You Matter” marathon which will give you cards to hand out to people for free! Actively listen to the people in your life. Sometimes we get distracted by our own stuff and we forget to be present for other people. Make a list of days that might be hard for your friends, loss of a loved one or pet, and then remember to check in on them on that day. Feed the birds or wildlife in your area. Let someone go ahead of you while you’re waiting in line. Collect litter that you see on the ground when you’re out and about. Buy a coffee for someone in the line behind you or for someone at work or who you’ll see during your day. Fill out those surveys they always put on receipts and leave positive comments for employees at businesses. Instead of asking for gifts for your birthday/Christmas ask for people to donate to your favorite charity. Leave little gifts for your mail carriers or trash collectors. Do something kind for your significant other, especially if it’s been awhile. Keep gift cards on your to hand out to people in need. Make a meal or bake something for the people at work. If you go to the gym, put inspiring, motivational post-its on the mirrors in the locker rooms. Send flowers or a gift package to the nurses at your nearest hospital. Write a letter to a deployed or wounded member of the military through Operation Gratitude or Soldiers’ Angels. If you have your own business or a hobby you love, create or give something free to someone else. Give a copy of your favorite book to someone who could use it. Leave a nice comment on a blog or article you’ve read or on a social media post you really loved. Be kind to that coworker that annoys you or drives you crazy. Send a letter to a senior who needs a bit of brightness in their day! Work on your patience a little bit more today. While you’re in traffic, while you’re at the grocery store, or when you’re dealing with someone who is clueless. More Love Letters allows you to submit the name and story of someone who really needs some extra love and then the internet sends them love letters. Write a letter to a teacher or someone from your childhood who made a difference to you. On a night when you’re free, offer to babysit someone’s kids so they can have a break. Make the effort to learn the names of people you see often, even in passing. Pay for the dinner or meal of a stranger. Give your old baby or kids stuff to a charity that can give them to mothers who need them. Tip the amount of your bill to make your server’s day. Help an aspiring business owner from around the world and give someone a loan through Kiva. Paint small rocks with inspirational sayings and put them around your local park. Allow someone else to help you. Be the recipient of an act of kindness. Donate a small amount of money to a different charity every month. Every little bit helps! Write a cute note about how a book changed your life and put it in your favorite book at the library or bookstore. Start a kindness competition where you and your friends commit to one kind act each day. What are your Random Acts of Kindness Ideas? 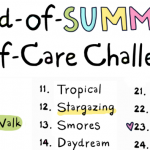 Previous Post August End-Of-Summer Self-Care Challenge!